Nominet Trust has announced they are awarding £50,000 funding to NOW Group to help develop the JAM Card app. The money will be used to develop the app which allows people with learning disabilities / difficulties to alert staff in shops or on public transport and in otherareas of public life that they need Just a Minute of patience and time. The funding is being awarded from the Social Tech Seed fund (http://www.nominettrust.org.uk/how-to-apply/social-tech-seed) an open grant-funding programme that offers investment to organisations in the early stages of developing innovative projects that use the internet and digital technologies to deliver social change. The JAM Card began as a plastic credit card sized card and was the idea of service users of the NOW Group’s ‘Kidnap Wednesday’ social forum. The group said they often felt under pressure when they were out and about in every-day life and would like a discreet way of letting people know that they needed a little extra time. NOW Group felt that developing the card into a digital app would allow more people to access it and could also provide additional functionality as well as data feedback. The development of the app began thanks to a partnership set up by the Building Change Trust Techie in Residence programme (http://www.techinres.com) between NOW Group and Ciaran Murray, owner of Creative Metrics. There is now a working prototype that records data in the cloud including location, usage type and user information, meaning that in the future a digital dashboard can be created to allow NOW to analyse this data with ease. Other potential features include a news feed and the ability to customise the JAM card message to the needs of individual users. NOW Group is a social enterprise supporting people with learning difficulties and autism into jobs with a future across Northern Ireland. 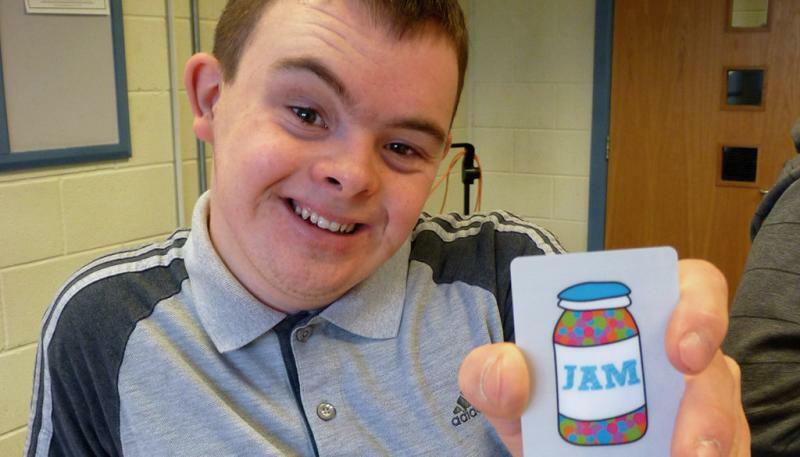 For queries about the JAM Card contact Jayne McStay jayne.mcstay@nowgroup.org.